It's Monday, time to highlight some of the community submissions posted to the Math Craft corkboard. One of these posts inspired me so much, I think it merits a closer look. 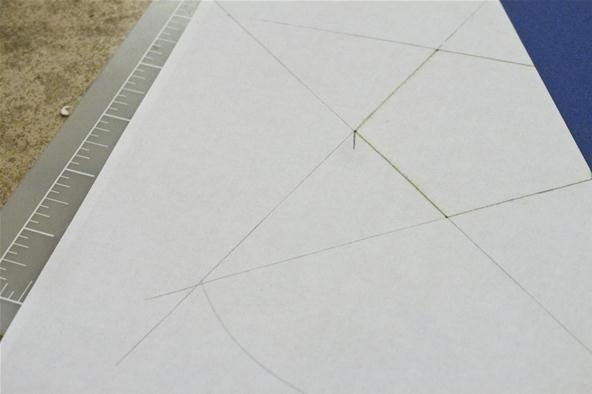 Today, I present a "simple" method for making a golden spiral using just a straight edge, a compass, and a template, inspired by RJ Ellicock's golden ratio post. 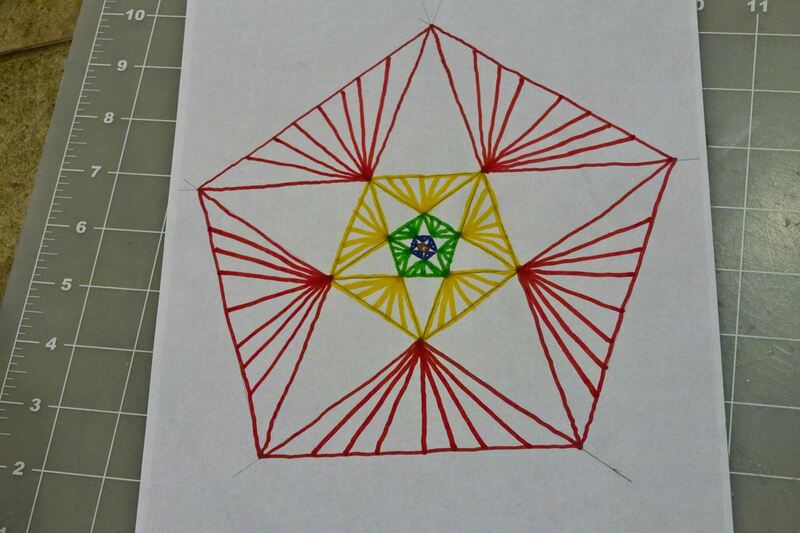 We had two submissions this week where community members submitted photos of Math Craft projects that they completed. 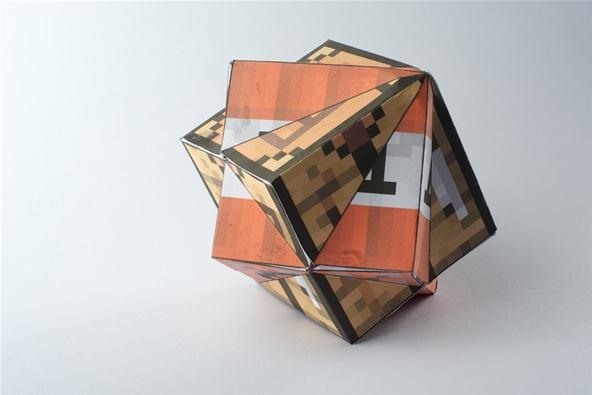 Blixten used textures from Minecraft to create a compound of two cubes from paper, inspired by the previous Monday's post on making paper polyhedra. He even includes a template so you can make your own. 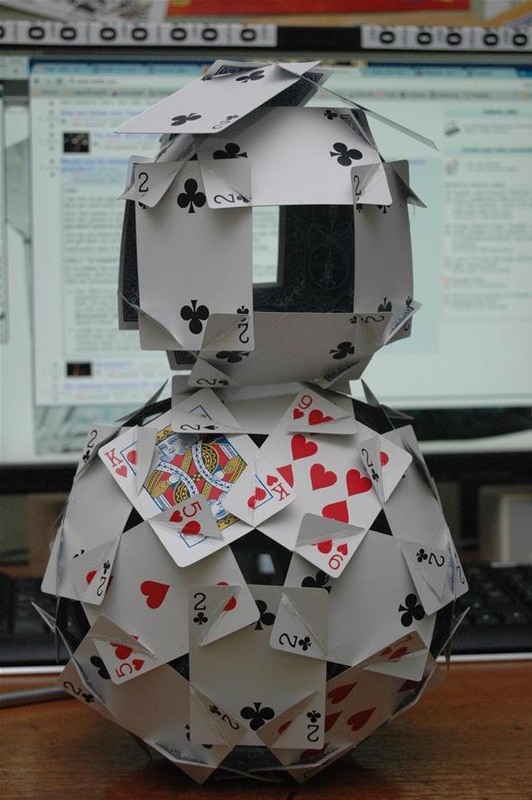 Thong Le built both a cube and an icosahedron out of playing cards following the instructions from Tuesday's post. He then stacked them to form a small snowman figure, and even included a 3 card hat which looks great. 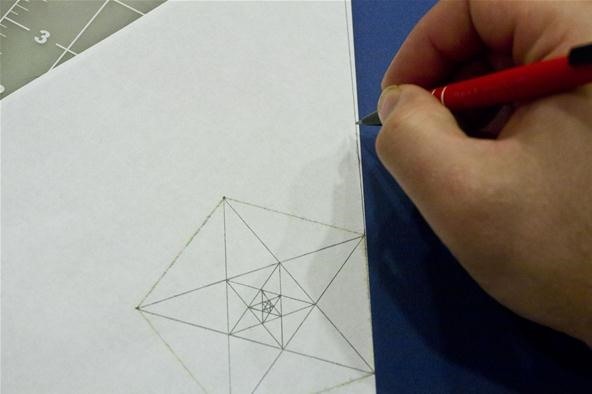 We also had a couple of posts featuring the creations of various mathematical artists. Rachel Mansur of Giveaway Tuesdays posted up a video of an object based off a mobius strip by Torolf Sauermann. Rachel also posted up the informational article "The Platonic Solids Get Trippy" which featured an architect's method for generating fractals from the platonic solids. I'll post up one picture, but the entire article is worth checking out if you already haven't done so. 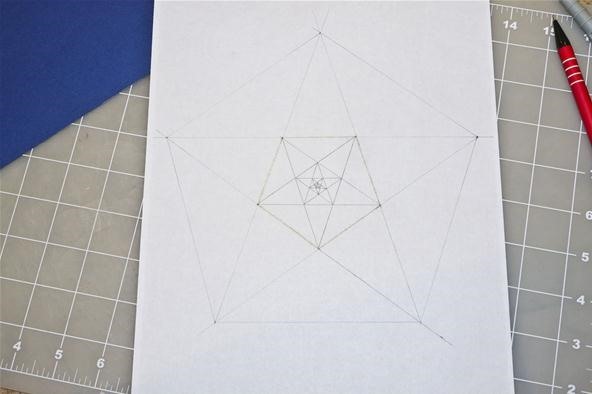 Finally, RJ Ellicock posted up some art he created using the golden ratio, rectangles, circles and pentagrams. 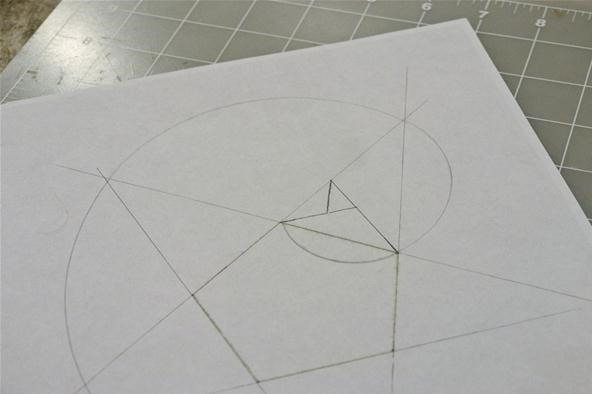 This post started me thinking about different ways to make the golden ratio and the golden spiral without using a computer. 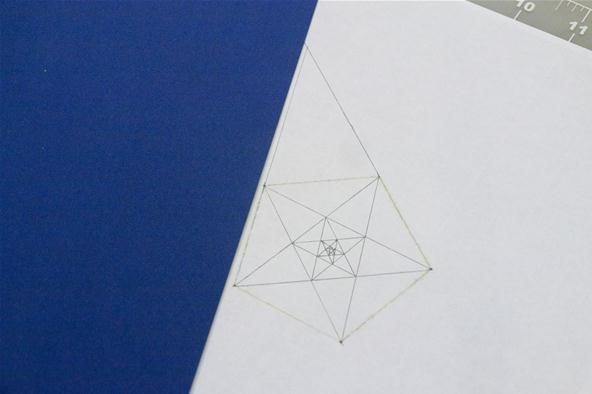 So here are 2 projects that you can do that involve the golden ratio and the idea of fractal self similarity. Straight edge—anything straight will work! Compass—you don't need an expensive compass, and you only need it for Project 2. First download and print the template. You can print this at any scaling you like. "Fit to page" would work nicely. 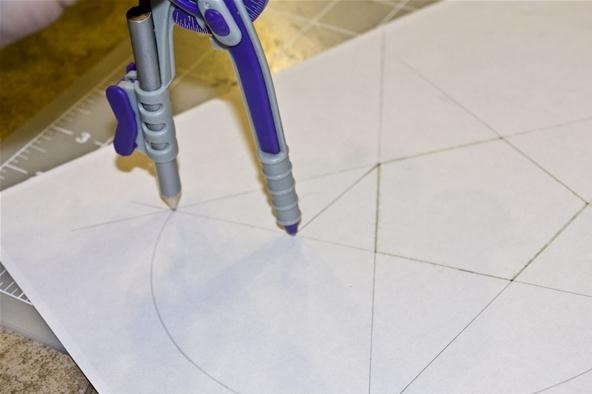 Connect all of the sides of a five pointed star by connecting the points of the pentagon using a pencil and straight edge. 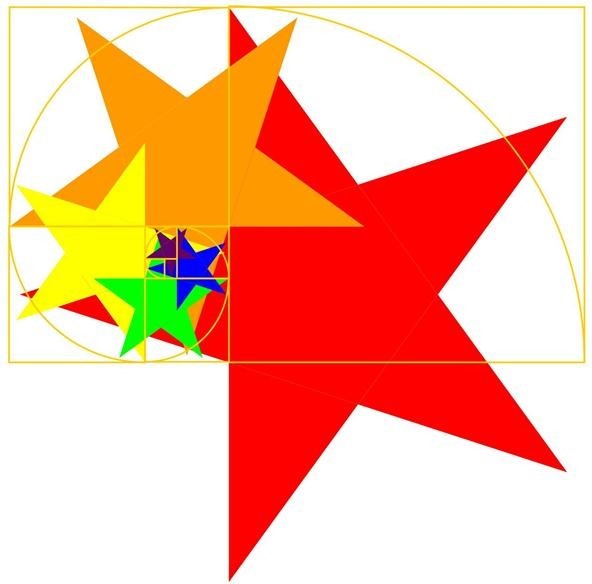 The ratio of the sides of the pentagram (star) to the pentagon is the golden ratio phi. 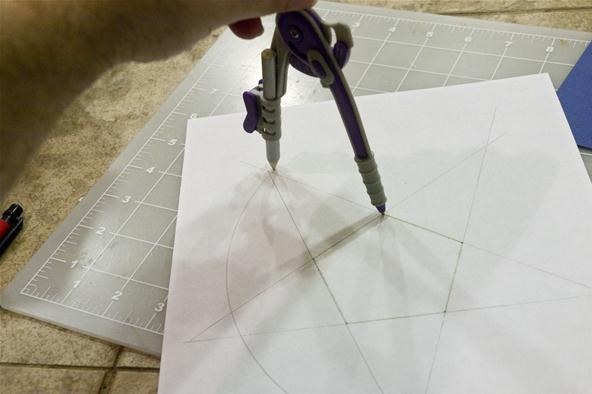 Now you can create another pentagram inside the pentagon formed in the middle of the pentagram you just made using your pencil and straight edge. You can repeat this process until it gets too small to do so again. You've created a very simple self-similar object, like a fractal. You can go further than this. There's plenty of room. If you want to make the object bigger, you can extend all of the sides of the pentagon. 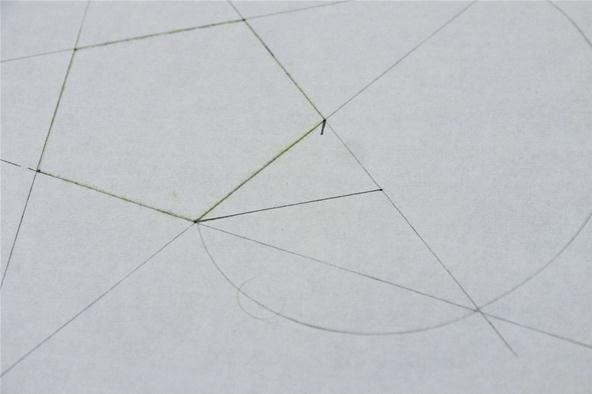 These edges will intersect and once you erase the parts of the lines beyond the intersection point, you will have created a pentagram. 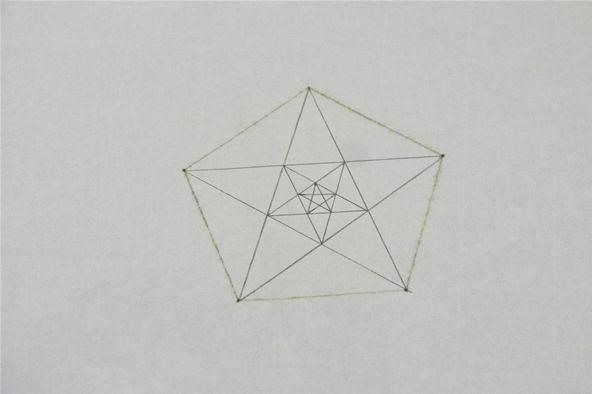 This process is called stellation due to the fact that it produces a star. 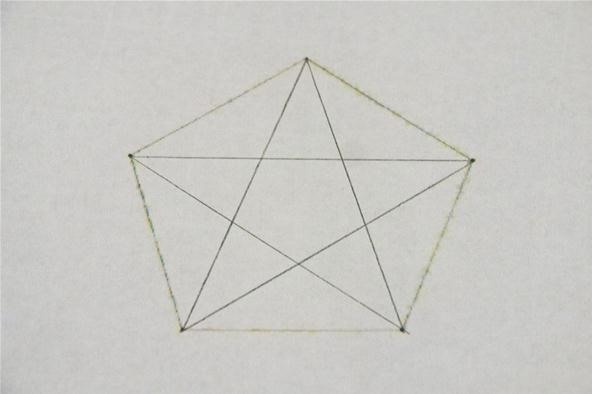 Once you have your star, you can connect the outer points to form another pentagon. There are lots of ways that you could make this an interesting piece of art. I'm absolutely convinced you can do better than me. 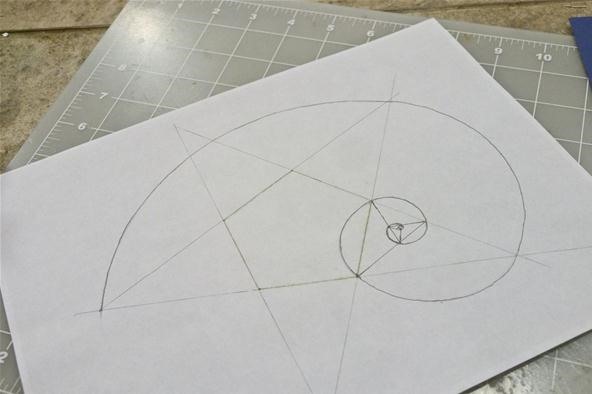 The golden spiral will be created using pentagons, pentagrams, and triangles. First, download and print the template. You can print this at any scaling you like. "Fit to page" would work nicely. This first picture shows a diagram of where you are going to be placing the next few compass points to swing your arcs. This one shows the first arc. 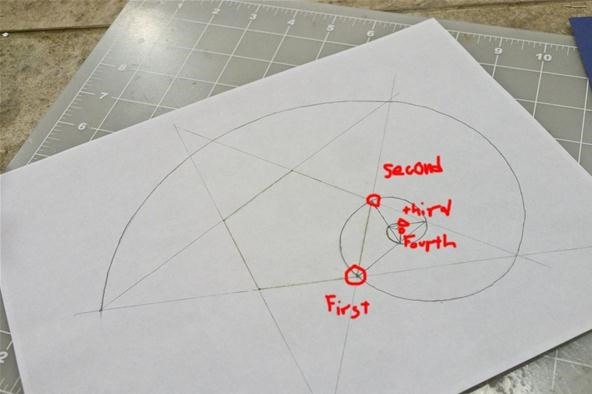 Set the point of the compass on another one of the points of the internal pentagon, and extend the compass so that it connects to the end of the last section of the spiral. Swing an arc that connects this point of the outer pentagram to the next point of the outer pentagram. 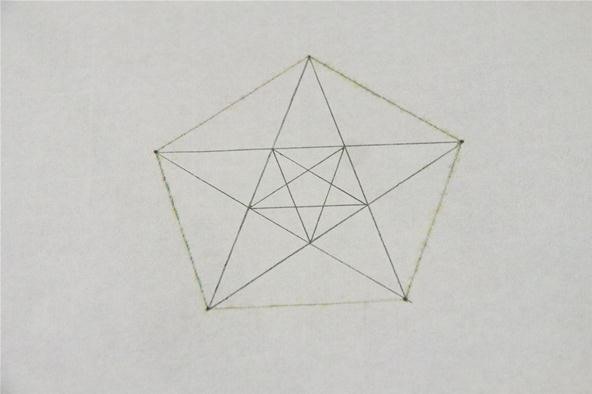 You will do this by bisecting the angle of one triangle formed by the pentagram. By eye, divide one of the angles of the triangle into two equal angles. 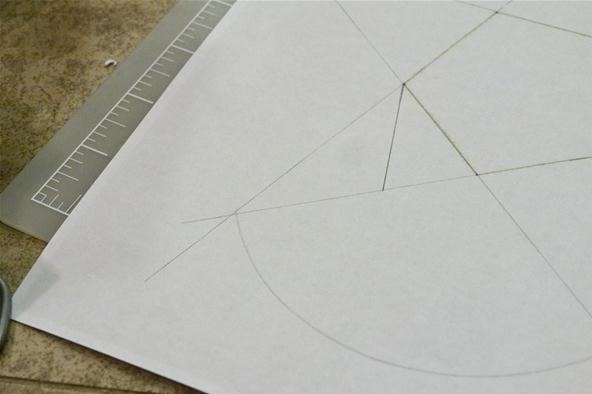 Once you have done this, extend that side until it intersects another point of that triangle using a straight edge. Set the point of the compass on the intersection point of the newly formed triangle and the old triangle. Set compass width so that it extends to the end of the last section of the spiral. Swing an arc to the next point on the big triangle. By eye, divide one of the angles of the triangle into two equal angles. 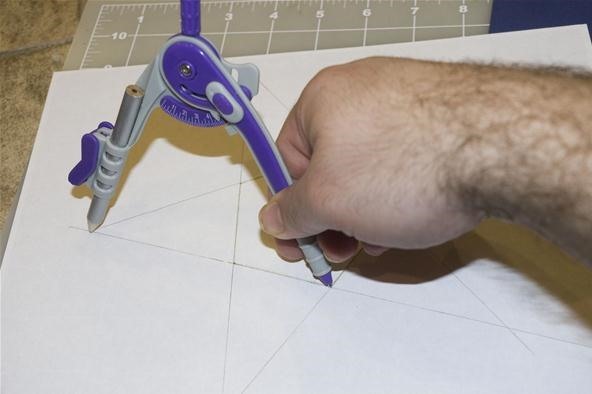 Once you have done this, extend that side until it intersects another point of that triangle using a straight edge. Place your compass at the intersection point of the new triangle and the old triangle. Extend the compass so that it connects to the end of the last section of the spiral. Swing an arc to the next point on the big triangle. Pretty soon you will have a spiral that is too small to use your compass for. At this point, I would just eyeball the next couple of sections. The resulting spiral can be used for many things. Perhaps you could make a nice work of art based on the Nautilus. If you complete either of these projects, previous projects, or just have something cool to post, please use the corkboard. If you like these types of projects let me know in the comments; if you have other ideas you would like to pursue let me know in the forum. Cool- are you still going to do weekly contests? Thanks. As to the contests, I'm not sure. I haven't come up with a good idea for a contest or what the prizes would be. Suggestions? You could comment here...or post something up in the forum and maybe get some other responses. Did you ever take some pictures of your penny polyhedra? I''ll be mulling it over. I just want to make sure that if I do a contest that there are enough people that compete, and that the contest makes sense.